BigBasket is the most useful and worthy supermarket shopping app which is delivering the online grocery to the doorstep of time-poor people in more than 30 cities of India. It holds a catalog of approx 18,000 products with thousands of different brands which is helping the people to make a decision according to their choice before making an order for online grocery shopping and delivery. 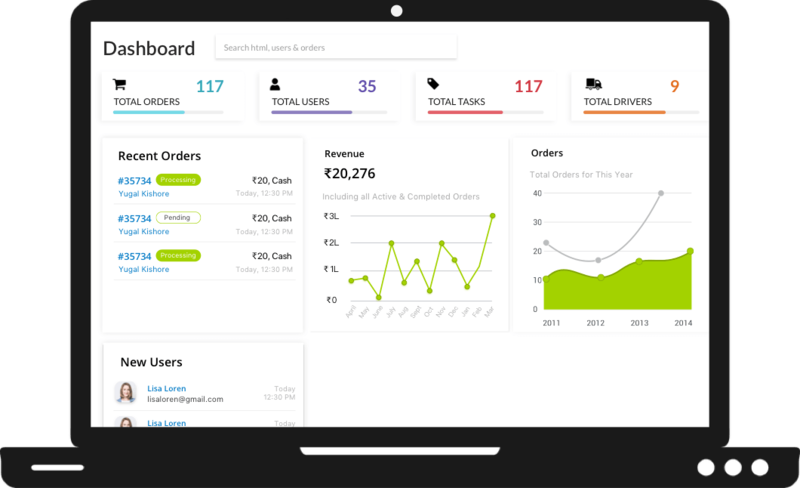 According to the recent report, this grocery shopping delivery app has generated the annual sales revenue of INR 3000 Crores in 2018 and it is moving ahead to disrupt the market by expecting the revenue scale of INR 5000 Crores in 2019. With the great success of BigBasket in India, entrepreneurs are trying their luck by investing their money into the best online grocery store app to become famous but a burgeoning competition and app quality are not helping them. To cater to the needs of customers and make them engage with your product in every manner, you need an app like BigBasket which can help you to understand each aspect where you can lack. If you are also planning to get a BigBasket clone or ready to build your own grocery buying app then you have to find the loopholes in an existing on demand apps. These ongoing loopholes will help you to take a better decision for your business to build a feature list for the BigBasket App Clone so to stay one step ahead from your competitors. Now, what are you waiting for? 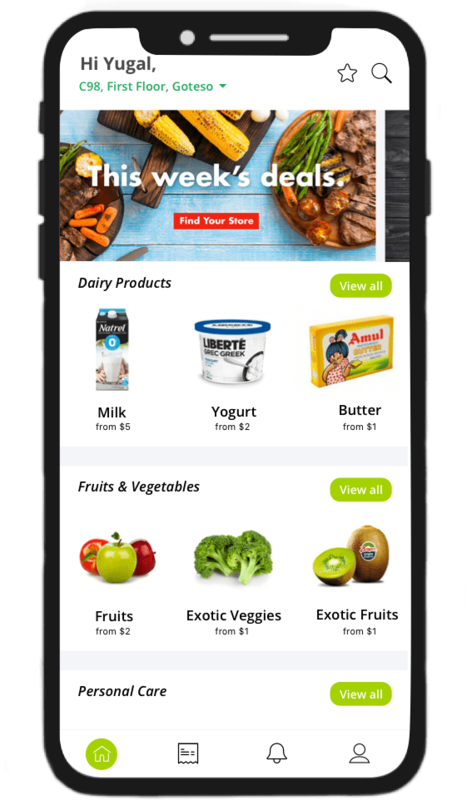 Get the free business consultation for the best grocery shopping app from the top mobile app development company and get a roadmap plan for your startup or existing enterprise. Customers can request for their required grocery items using the app with an easy user interface. Customers can schedule the pickup and delivery time slots as per their own convenience. If an order is not received on time then the customer can track it and check the exact location of the requested order. Customers can get real-time notifications using the PUSH or SMS for discounts, promotional coupons, and order delivery status. Customers can easily pay for their orders using credit/debit cards, Sodexo cards, net-banking, COD, and PayTM integrated into the best online supermarket app. Using referral programs, customers can share an app by sending the URL to their kiths and kins so they can download and use it. Customers can easily give a 5-star rating to the app or vendor after getting the quality service. 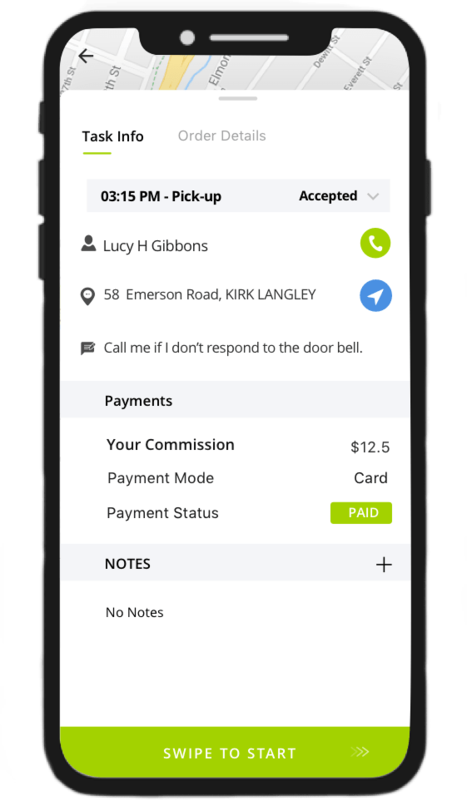 A delivery agent can update the order status after the successful dispatch to the doorstep by taking the digital signature from the customers. A delivery agent can update their profile like photos, contact, and email id to get engage more with the app. An agent can easily find the optimized path for their deliverables so that it can get a tag of on-time delivery. Store managers can easily add and update the products info, categories and cost with its availability status. Managers can track the real-time location of delivery agents to know about the order status and credibility of their fleets. Store managers can send promotional notifications after updating the products catalogue, offers, and discounts coupons. They can generate a comprehensive graph report for their sales, expenses, and profit. Store managers can easily add and update their stock as per the use and requirement. An owner can easily add and update the vendors, warehouses and store managers as per their own requirements. Admin can nimbly add the new products to the catalog under a certain category, enable the availability, and update the cost. The owner can get a real-time view of customer purchasing behavior, their personal details, and other needful related information. Admin can track the actual location of a delivery agent to get the idea about the order status. An owner can accept the payments using the various online payment gateways like credit/debit cards, Sodexo cards, net-banking, CODs and via PayTm. Admin can easily get the idea of the daily / weekly / monthly / yearly sales, capital amount to calculate the expected ROI in a graphical format to make future decisions. Ready to launch your Online Grocery Delivery Business?